In January of last year, staff at a Hunter drug and alcohol rehabilitation facility, the Glen Centre, were disappointed to hear that a child support outreach service from the Department of Human Services would be discontinued in 2014. For the past four years, child support personnel had made regular visits to the Glen Centre’s clients, encouraging their cooperation with the Department in upholding their child support obligations. 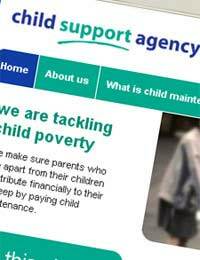 The CEO of the Glen Centre, Joe Coyte, said that cancelling the outreach service was a dis-service to their clients, and their clients’ children and ex-partners. The regular contact had established effective communication with the Department, which often paved the way for a more cooperative attitude towards paying child support. The positive outcomes of the cancelled outreach program is in stark contrast to the overwhelmingly poor feedback regarding their contact with the Department’s Child Support Program (formerly the Child Support Agency). In March 2014, the then Minister for Social Services, Kevin Andrews, requested a Parliamentary Inquiry into the effectiveness of the Child Support Program. The Inquiry’s online questionnaire, which received over 11,000 responses, asked participants – both payers and beneficiaries – to rate various methods of communication from 1 (‘no use’) to 5 (‘very useful’). The communication tools included the Program’s website, letters from Centrelink, and guides and booklets produced by the Program. The overwhelming majority of participants found the Department’s communications tools to be inadequate. The best performer was the operator phone service, rated 4 or 5 by 19% of respondents compared to 58% who rated it 1 or 2. The worst received was the automated phone system, which received a rating of 4-5 from only 6% of respondents, and 1-2 from 77%. Interestingly, the highest rated communication tool – the operator phone service – was also the only tool in the questionnaire that involved any form of real-time contact with an actual person. Comments on the Program’s flexibility and responsiveness to changes in life circumstances also indicated dissatisfaction from the majority of questionnaire participants. Complaints included the lack of clear and consistent information, and long wait times – problems that were often compounded by the fact that individual participants rarely spoke to the same staff member twice. One father paying child support complained that the Department had not approached him directly regarding his changed financial circumstances, but had instead sent ‘an embarrassing letter’ to his employer asking to increase the payable amount: ‘Happy to pay more, talk to us fathers, don’t demand from our employers with horrible letters’. While the questionnaire is not intended for use as a statistical tool (as the Department has acknowledged), it does suggest that for many who are engaged with the Child Support Program, direct communication in real time with a staff member is the most effective and least stressful way for them to explain their circumstances and their needs. In light of these results, we must seriously question whether departmental efforts at cutting costs and streamlining operations by increasing reliance on online or automated forms of communication are actually less efficient in delivering services to the community.